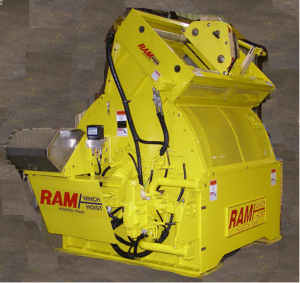 Like all the RAM’s winches, our Seabed access winches & hoists are application specific, rugged, tough and dependable. 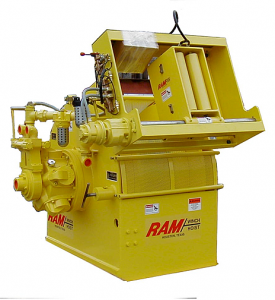 Built from low-temperature materials and fully capable of meeting current ABS, DNV or LRS, Third Party certification requirements, the RAM’s winches can handle any Drilling applications found on today’s modern Floating Rigs anywhere in the world. Easy to work on and less expensive to maintain, this series of application specific winches is capable of working in water depths ranging from 2,000 to 13,000 feet. These hoist can be rated for working capacities at the cellar deck or down at the mudline. Hoists can be designed to specifically pull the Yellow or Blue Pods off an LMRP. Utility 2,000 to 8,000 lbs. 500 to 6,500 ft.
Utility 2,000 to 10,000 lbs. 500 to 13,000 ft.